This entry was posted in Abiding IN Christ, Deceiving the Saints, Intimacy, Religion vs. 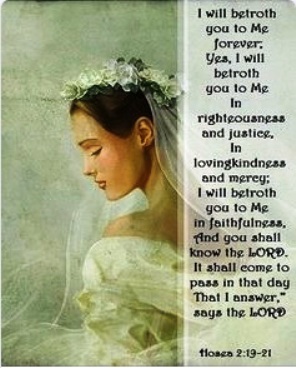 Abiding in Christ, The Bride of Christ, the Unshakeable. Another great word Michael. I guess many of us have seen the absolute truth of this from first hand experience, but oh how the flesh drags us back to the earth. ! Yes, Gordon, I also have seen the folly of trying to re-create the Book of Acts type of a religious gathering. It is sheer folly. The Church is organic and it responds in each individual to the leading of the Holy Spirit. And because of the love of God shed abroad in our hearts, the Church is also family! Like Jesus said, “But you are not to be called ‘Rabbi,’ for you have only one teacher, and all of you are brothers. And don’t call anyone on earth ‘Father,’ for you have only one Father, the one in heaven. Nor are you to be called ‘Teachers,’ for you have only one teacher, the Christ!” (Matthew 23:8-10 ISV). In church circles today this seems to be an impossible concept to grasp. Jesus is our Teacher through His Spirit given unto us. God is our Father with Jesus also as our brother. And we are ALL brothers and sisters in Christ… the playing field in HIS kingdom is perfectly level and entirely relational and NEVER hierarchic between those who are His. And in heaven what did John see? “And I saw as it were a sea of glass mingled with fire: and them that had gotten the victory over the beast, and over his image, and over his mark, and over the number of his name, stand on the sea of glass, having the harps of God”(Revelation 15:2 KJ2000). Molten glass is flat! We who are His stand on level ground and our only thought is to worship HIM and never a man… that mindset belongs to the beast/Babylon Harlot systems of the wicked one. Thanks for this other quote from Sparks. I also have experienced this severing from Egypt where men build their pyramid schemes of church structure. I know His wilderness and how it cuts us off from all that is of the world including is longing for permanent structures (church buildings). It was there that I came to appreciate what the writer of Hebrews was saying when he wrote, “We have an altar, of which they have no right to eat who serve the tabernacle… Therefore Jesus also, that he might sanctify the people with his own blood, suffered outside the gate. Let us go forth therefore unto him outside the camp, bearing his reproach. For here have we no continuing city, but we seek one to come” (Hebrews 13:10-14 KJ2000). God bless you, Gordon. I appreciate you taking the time to comment on here. Yes and amen to that, Michael. God is always in perfect control. He even knew before the fall that men would fall into sin and how He would save them – later. True, too. Maybe, one might add that the crucified believer should know the power of His resurrection as well. Crucifixion means being dead to one’s sinful desires. But being risen with Christ means to have a share in the spiritual blessings of eternal life right now. If we live such a life, we might be rejected by those who insist on having God’s “things” their own way, but we might attract those who smell Christ’s fragrance behind these blessings shared (such as His love, peace, grace, kindness, compassion, patience, understanding, forgiveness, and much more). I dare to post a link here which leads to Jeremy Myers’ site where I commented on “Christianity Cannot Be Organized”. There I shared my own thoughts about how fellowshipping in today’s Church could look like. That in turn leads me to the question of how could a new kind of church today look like? Where is a place/location where many people who are searching for God could “meet” without further ado? What would you think about Internet or email fellowships? Let’s also imagine “congregations” of commenters in cyber churches (Christian blogs/fora). Have we not been observing that the mainline churches have become deserts because they are falling apart due to more and more revealed scandals? Is that not a sign that many churches – not all, of course – have not been focused on Jesus Christ but merely on this-worldly things? Wonderful connection here between what we have found on the internet and the streams God has provided in the wilderness of Christendom! Thank you my sister!!! He TRULY is doing a NEW THING in all of us!!! Thankyou, profound words from T Austin Sparks who is no longer with us in the flesh, but who foresaw what was coming and is indeed now upon us and upon the church and the world. He says so clearly what we who are living in this time of unprecedented shaking find hard to put into words at times. In the last few days I have had more than one person remark to me ‘the world is going crazy’. And so it seems to many. Before this shaking is done there will be no place to hide except in Christ. Rich truth indeed. Thanks to all of you. I am reminded of the fact that Israel made what came to be known as fence laws. These were traditions that men taught as law – as a means to insure that the God given laws were not broken. Many church traditions are taught as law in order to keep the saints in the way. However, we know the fruit of that misses the mark. We are not satisfied with what we have often embraced(as Saul did not wait for Samson [Saumuel] – we did not wait for the God birthed). I pray that we will have the light to be in THE WAY. Yes, Pat, Saul was so concerned about his popularity base that he took to offering up sacrifices as if he was God’s priest where that task belonged to Samuel. It in in the NEW Covenant we who have the Spirit of God IN us and not just upon us (as was the case in the O.T. )… we are a kingdom of priest unto the Lord. There is NO priest cast or prophet cast either. Like Paul said, all may prophesy. Yes, dear sister, may we all follow the wind of the Spirit and do just as Jesus did… only doing the works that His Father (the Spirit in our case) directs us to do and speak only His words as we have ears to hear them. Oh, may the Lord continue to draw us with His love and may our obedience be fruit of THAT relationship. Love you, my sister, and always look forward to your comments. Thank you for changing the Samson to Samuel. A few hours ago I realized my error. The first thought was to not write anymore on this site. I quickly repented of that thought, and was delighted and relieved to see that you had corrected it. yes Mike unless the people who call themselves Christians become dead to their own human ideas about what church and Christianity are supposed to look like they will always come up with systems and methods and structures and philosophies~and unless the lord himself shows them that he is in charge of this Christianity business they will just go on forming their own systems~i myself was caught up in it for many years until the lord let me out of the cage. Kenneth, yes, so was I, but He was faithful to deliver me from the hand of the fowler and his cage. Thanks for your comment, my brother.